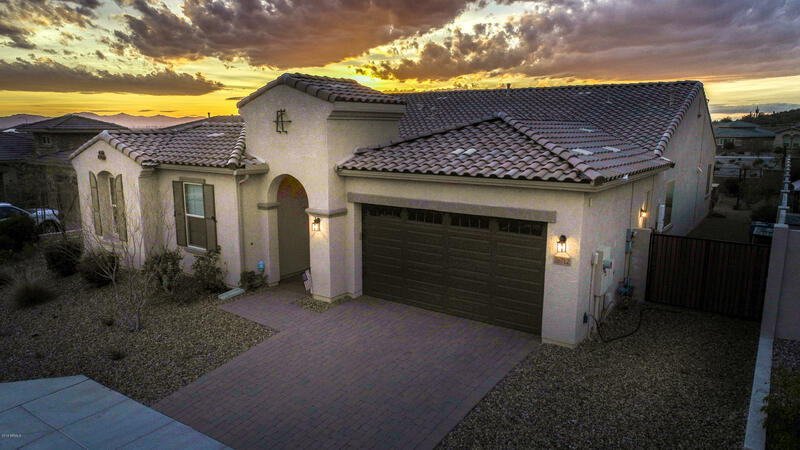 All TIERRA DEL RIO PARCEL 27 homes currently listed for sale in Peoria as of 04/23/2019 are shown below. You can change the search criteria at any time by pressing the 'Change Search' button below. "Absolutely Gorgeous Home!!. Best views in the area! SOLAR PANELS INCLUDED! NO LEASE!!! You'll be greeted by this inviting court yard. Come inside to an open & large Great-room with coffered ceilings. Fallow to this Gourment kitchen that you'll be proud to show!! Stainless Steel appliances, Gas Range, Granite tops, Staggered Cabinets, Island & Pantry. Large & Luxurious Master Bedroom w/ Coffered ceilings. Master Bath w/ Sep. Shower/Tub, his & hers Sinks. Now This is a real Walk-In Closet w/ exit "